Owned by Joann Pipkin, Show Me Agri-Comm is a freelance public relations firm specializing in writing, photography and graphic design services for agricultural clients. Joann is a former farm broadcaster with 22 years in the agricultural communications industry. Launched in 1997, Show Me Agri-Comm’s current client list includes Joplin Regional Stockyards and its monthly customer news-magazine, Cattlemen’s News, as well as the Missouri FFA Association/Missouri FFA Today magazine. Joann also works with FCS Financial to write and photograph its customer feature for the cooperative’s magazine, HeartBeat. 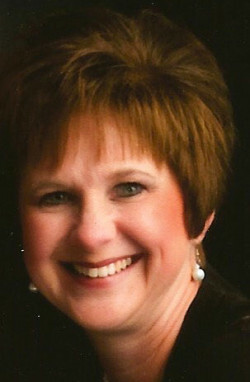 Additionally, Joann writes freelance for the Angus Journal, the official publication of the American Angus Association. A former editor of Ozarks Farm & Neighbor Newspaper, Joann helped launch the publication in 1998. Her work has appeared in other farm publications including Missouri Ruralist, Beef Today, America’s Horse, LOOPS magazine, Today’s Farmer, Missouri Soybean Farmer, Missouri Beef Cattleman and Farm Talk. Joann and her husband, Jim, operate Clearwater Angus Farm with Jim’s parents. They have two children, Jera and Jace.